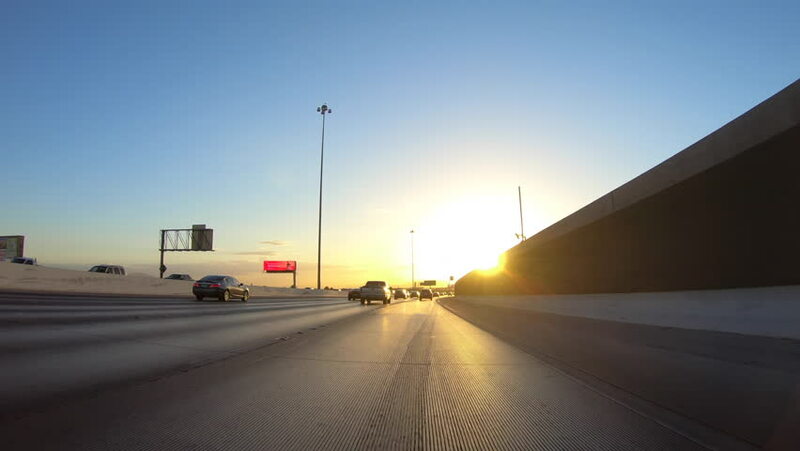 Las Vegas, Nevada, USA - October 11, 2018: Driving into the sunrise of state route 215 near Interstate 15.
hd00:08Timelapse/Hyperlapse clip of Car Driving in USA. Raining. hd00:13SAINT-PETERSBURG, RUSSIA, NOVEMBER 2013: Cars traffic over the Palace bridge, Saint Petersburg, Russia. 4k00:59Denver, Colorado, USA-February 17, 2017. POV point of view - Driving on city highway in evening in the Winter.